Its a 3 in 1 space saver, a shelf, a desk and a wall mount. 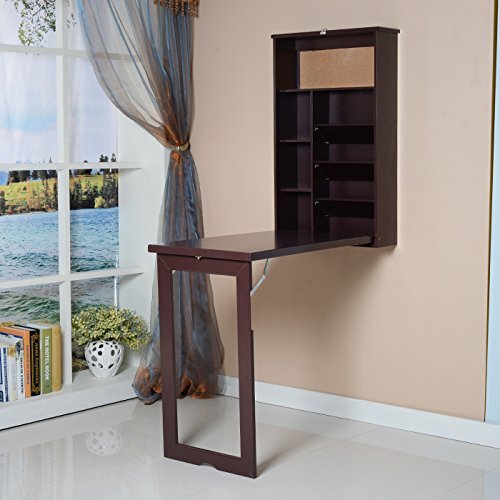 Features 3 bill organizers, 2 adjustable shelves, 2 fixed shelves, and 1 corkboard Convenient wall mount design; Transitional style; NO ASSEMBLY REQUIRED. If you have any questions about this product by Viscologic, contact us by completing and submitting the form below. If you are looking for a specif part number, please include it with your message.